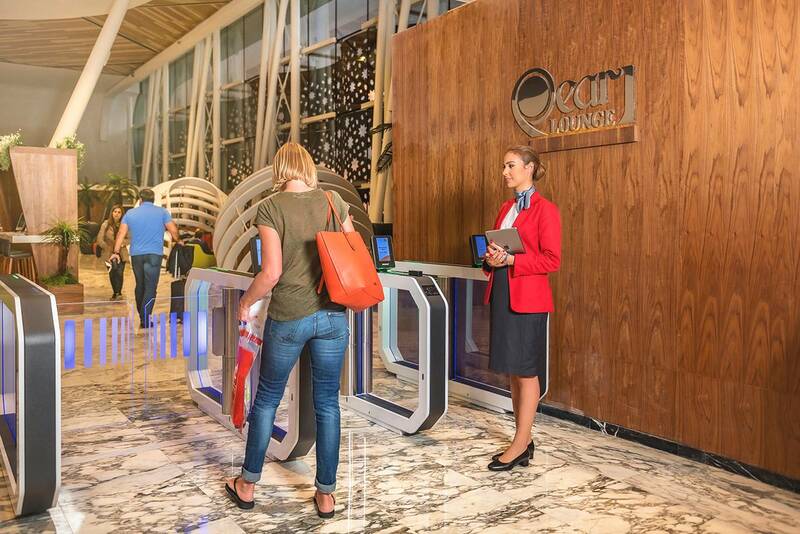 National Aviation Services (NAS), the fastest growing aviation services provider in the emerging markets recently partnered with Wanzl and ICT.aero to launch state-of-the-art electronic gates (E-gates) at its Pearl Lounge in the Marrakech Menara Airport departures area. This is the first of its kind solution across Africa. With this new technology the company facilitates self-service check in for passengers visiting the Pearl Lounge. This helps them access the lounge faster without having to visit the reception desk or wait in a queue. The passenger simply scans their printed or online boarding pass at the gate and enters the lounge. The E-gate effectively captures all boarding pass data, checks eligibility, enters the transaction into a database for billing and reporting, and opens the gate for eligible passengers - all in less than 2 seconds. The E-gate also supports lounge membership cards and vouchers. The same technology will soon be adopted across the Pearl Lounge network globally, including Morocco, Kuwait, Egypt, India, and Tanzania. NAS is currently present in 17 countries across the Middle East, Asia and Africa; providing ground handling services to seven out of the world’s top ten airlines and managing 35 airport lounges. With an expanded portfolio of aviation services and certified by IATA Safety Audit for Ground Operations (ISAGO), NAS also has demonstrated expertise in supporting local hub carriers in the Middle East and Africa.